This strategic marketing book contains 63 short sections, each of which can be read quickly and acted upon immediately. It’s full of creative marketing ideas, action points, and useful marketing techniques. You can download it onto your phone now and then use one of these sections to improve your marketing within minutes. 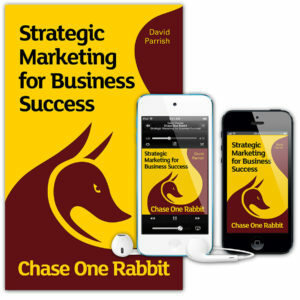 This creative marketing book is also available as an AudioBook. Each section could increase your sales and profits, giving you a massive return on your small investment of buying the eBook. The 63 sections are presented in ten parts, covering marketing strategy, niche marketing, marketing objectives, target markets, pricing, market research, customer benefits, customer relationships, customers’ perceptions, and marketing communications. Each small section is useful in itself and the reader can hop around within the book, selecting sections from their intriguing titles, without having to read the whole book in a linear way. See links below to videos of creative entrepreneurs talking about how a particular one of the tips, techniques or tales has helped them to make their business even more successful. All videos also online here. Read reviews of this highly-acclaimed creative marketing book.